The REMT course is designed for individuals requiring an EMT certification for work in remote and austere locations worldwide. Past students have been from the security, energy, international guides and academic industries. If you work or spend time in austere environments where access to medical care is often delayed and communication is unreliable, this six-day course is for you! The REMT and WFR are the industry standard for mountain leaders, professional guides, close protection team leaders, expeditions, and search and rescue team members. Certifications: Remote EMT, ITLS, BLS and Wilderness First Responder. The REMT course provides medical skills and didactic learning for those looking to work in austere, remote and resource poor environments. The REMT curriculum exceeds the requirements for the Wilderness First Responder as well as the Wilderness Upgrade for Medical Professionals. Delegates requiring the WFR or WUMP certification can request either certificate in addition to the Remote EMT. There is a fee for these additional certs. The REMT curriculum includes the ITLS Basic course. This is the military version which follows the same cABC patient assessment taught on the REMT course. 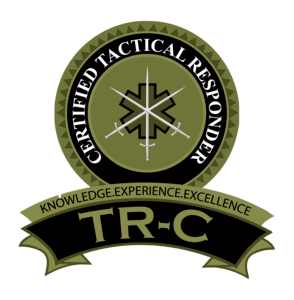 REMT graduates are allowed to sit the board certified Tactical Responder (TR-C) exam. The TR-C shows competency in casualty assessment, stabilisation, and evacuation in hostile and austere environments and a support to the paramedic role, as well as thorough familiarity with tactical principles, triage, and operational medicine. TR-C candidates are operators functioning within a team and commonly have a primary role as a security team member with a secondary medic role. The REMT starts with forty hours of online Moodle based content. All lessons must be completed and the patient scenarios submitted to our tutors prior to taking the online final exam. All delegates must pass the final online exam at 80% or higher. Once you have completed and passed the online training, you come to Malta for six days of extensive classroom experience. Most of the week is hands on with some lectures that will review the important topics learned during the online training. In order to earn your Remote EMT qualification, you must have 24 hours of hands on clinical experience. We can offer that in Malta following your class. Or you can choose to arrange something closer to home as long as you have prior approval from the Faculty. The REMT course includes hands on experience with live casualty scenarios with special effects makeup. The College of Remote and Offshore Medicine incorporates PFC scenarios during this course. Delegates will be required to assess, manage and monitor their casualties for extended periods of time under resource poor environments. The Remote EMT is accredited for 5 ECTS college credits and transferable worldwide. All of our instructors are currently working as healthcare professionals. We have former Special Forces medics, Navy SEAL medics, Special Air Service medics as well as medical doctors with military and expedition experience.